It's super quick and easy. Ready? Let's go! The first step is, of course, setting up your Twitch account. Once you are done with that, go to https://belive.tv/twitch or https://belive.tv/. Right in the middle of it, there's a beautiful "Sign up with Twitch" button. Click it! 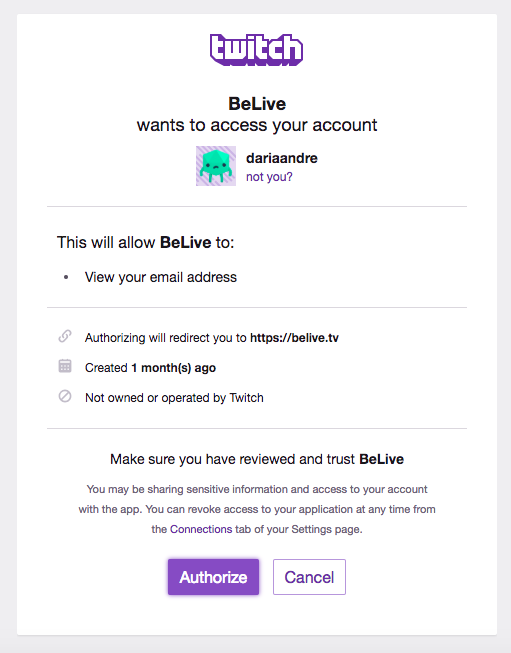 You will be prompted to a window that asks you to authorize BeLive's access to your Twitch account. 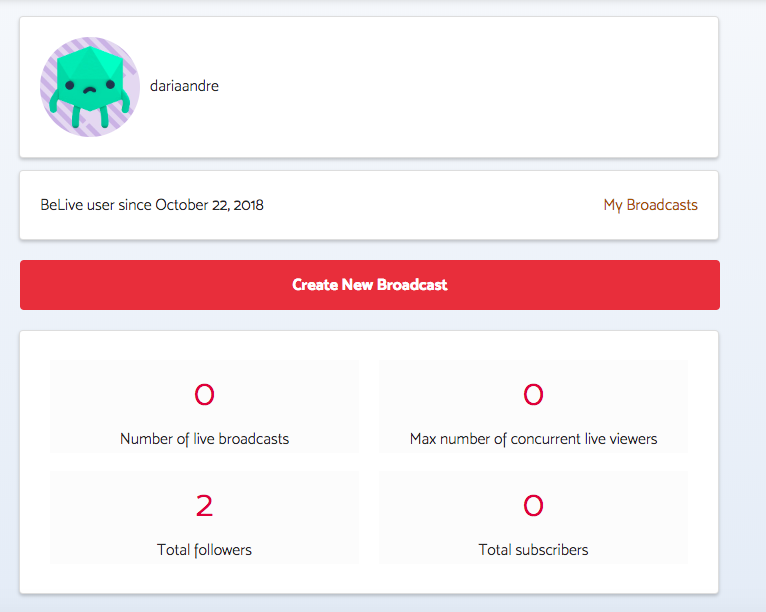 P. S. In case it logs you into your Facebook account instead of the Twitch one, please try logging out on belive.tv and then follow all the steps from the article.